Scientific Calculator : A desktop calculator/scientific calculator. Use as desktop/graphical calculator, web applet, or to show calculator operations: arithmetic, trigonometry, logarithms, complex numbers, memory, statistics. 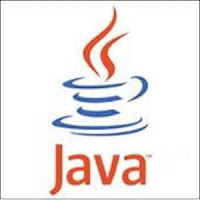 how to get the source code of the java projects which are saved in jar format? You can create or extract JAR files using the jar command that comes with a JDK. You can also use zip tools to do so,however, the order of entries in the zip file headers is important when compressing, as the manifest often needs to be first. How do create simple java project by using java basics? ?